February 14th is a Tuesday. Be the sky; regardless of clouds or rain. It started with fitful sleep and fearful dreams. I love myself. Then an overdraft notification. I love myself. Then I made lunch without pants. Super love myself. A great workout! I’m seeing the results of loving myself. Got dressed up cute. I love me… and makeup! Now I’m hammering it out at work. Giving 100%. I love my professional self, even while I’m looking for other opportunities, and figuring it out as I go. Roze Goes… to Taco Tuesday! Let me first start off by stating that I absolutely HATE when people pronounce it “Valentimes Day”. When is Valentime? Point to it on a clock! When in the calendar year is it Valentime!? If you pronounce it this way, you don’t deserve any chalky heart-shaped antacid candies. deserve to eat ONLY chalky heart-shaped antacid candies! FOREVER!!! 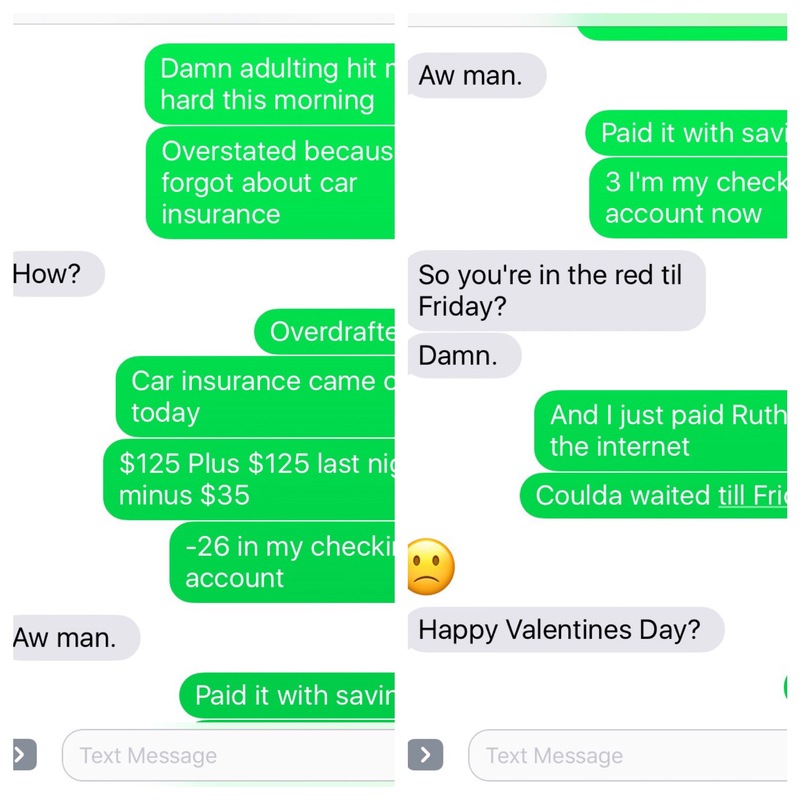 Pal-entine’s Day, Gal-entine’s Day, Single’s Awareness Day… For semi-Bitter Bettys and Barrys such as myself, this past February 14th took on a slightly different tone than the mainstream. For many of us it was a silent massacre. Millions of eligible bachelor’s and bachelorette’s unwanted bodies strewn about highways and workplaces; their faces twisted in agony with cold eyes glossed over. Tortured mercilessly, some for days, with your stories of how “Bae surprised me. He/She/It/They are sooo thoughtful!” We leapt like lemmings to our deaths. As if you didn’t know you were single on the 13th !